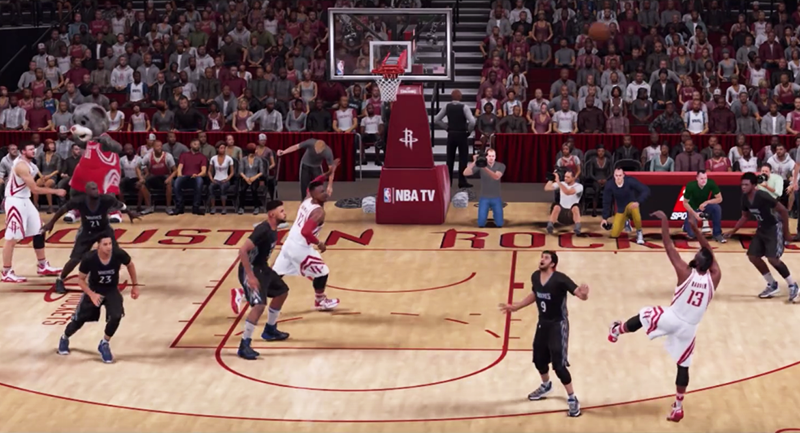 2K Sports has changed the way players are rated in the upcoming game, NBA 2K16. One of the most appealing aspects of any video game is authenticity. When watching the NBA at home, how you see a player play on TV is what you want to see in the game! In NBA 2K16, the main focus of the roster team was to ensure that authenticity shines through in the form of player ratings. After the final NBA 2K15 roster update, the team sat down and looked critically at the criteria used to determine the ratings for all of the individual attributes and looked for ways to improve that criteria for NBA 2K16. We are very excited to present to you a little bit of the thought process behind the ratings by discussing individual attributes, how all of this effects the overall rating, and most importantly why we felt this change was necessary (Spoiler Alert: We will be talking about cutting the cheese!). Hopefully this will help to provide some context to those constantly debated numbers that represent a player's value in NBA 2K. This year every player's individual attributes were determined based on a Hall of Fame scale. Let's look at Offensive Rebounding, for example. When debating who is the best offensive rebounder of all time, most would agree that Dennis Rodman sets the bar. Since Rodman is the best offensive rebounder of all time, he is a 99 for his Offensive Rebounding rating. We then set up the rest of our scale using Rodman's advanced stats as the pinnacle for that attribute. If we take a look at the regular NBA, one of the best rebounders in Deandre Jordan has an offensive rebounding rating of 99. In comparison, last year there were ten players with an offensive rebounding rating of 99, including active NBA players. This same thought process was applied to all of the skill attributes in NBA 2K16. Due to this emphasis on accurately representing each player's individual attributes, the Overall Rating values that we see for players may look slightly different than in years past. The most noticeable change will be how the current NBA compares to some of the legends. Just like the individual attributes, the Overall Rating will fall in line with the Hall of Fame scale. So let's ask now... Who is the best player in NBA history? Who is the Greatest of All-time? Michael Jordan of course! The best player in his peak season is the only player with a 99 Overall Rating in the game. All other players strive to catch the GOAT, and this year their Overall Rating will reflect just how close a player is to achieving that status (Disclaimer: Not achieving that status for their career, but how they compare in their current Age/Form). You might be wondering to yourself, why are these changes necessary? Before I started working on the official roster here at VC, 1was a very active member of the community making my own custom rosters. What I learned in that time is that the thoughts and experiences of many people are much more comprehensive than the thoughts of one individual. How the roster team uses community feedback is vital to achieving that authenticity we are striving for. What we believe this new ratings system will help to cut back on is, everybody's favorite word, the CHEESE. Having watched hours of YouTube footage, there would be times that I would cringe watching an excellent defensive possession by a user only to see their opponent hit a 12 foot fade away with Dwight Howard as the shot clock expired. Reading on the forums about users experiencing a player taking a drive baseline and having the ability to dunk or get an easy layup over the entire defense, also does not sit well with us. Inflated ratings, although not entirely at fault, deﬁnitely attributed to some of these issues. The roster team worked very closely with the game play team to develop the best possible system to address these issues. By having these reduced scales for individual attributes, it should also make it much more difficult to successfully play players out of position. As we move forward we will listen to community feedback to continue to try and reduce the success of "cheese" through ratings, but we think you will find that less inflated individual attributes is a huge step in the right direction. Another benefit of this outlook on ratings is player authenticity, and should be felt right away when playing NBA 2K16. The elite players in the active NBA will stand out, but in a much more realistic way. For example, one of the many things that makes James Harden such an amazing scorer is his ability to get to the Free Throw line. To most efficiently use Harden In NBA 2K16, you would want to attack the paint and use his NBA leading 95 Draw Foul rating to get to the Free Throw line for an easy two points instead of relying on a lower percentage Mid-Range Jumper. Users who play to their players’ strengths should be the most successful. In the old system. the inflated ratings scale occasionally made it like star players had no tangible weakness. Thanks in advance for your continued feedback. As you experience NBA 2K16 rest assured that we will be monitoring your feedback and make adjustments to make the experience as simulation as possible. We look forward to building upon the hard work put in last year, and providing frequent Roster Updates during the upcoming season to help make NBA 2K16 the most authentic basketball experience in franchise history. NBA 2K16 releases on PS4, Xbox One, Xbox 360, PS3 and PC on September 29th.